Viewer control for displaying the thumbnails of image collection. WpfThumbnailViewer has the image collection (the Images property) which stores images associated with this viewer. WpfThumbnailViewer can work separately (thumbnail viewer will have own image collection) or work as a slave viewer of another viewer (thumbnail viewer will use the image collection of master viewer). 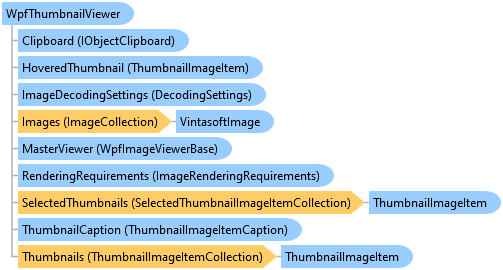 Images from the Vintasoft.Imaging.UI.ThumbnailViewer's image collection can be reordered using drag-and-drop.